Rarely have British libraries faced greater challenges. It is fashionable to call the presence of multiple problems a perfect storm. It is an apt, if overused, metaphor for the predicament in which libraries and librarians find themselves. Within living memory the 1964 Libraries and Museums Act appeared to guarantee their future as a free, universal service. It ushered in a period commonly known as the ‘golden age’ of libraries. The sixties saw spending grow by half and staffing by 40%. Though school libraries and school library services did not come under the aegis of the Act, they too tended to flourish in its wake. The first major challenge to this apparent progress came with the public spending cuts of the eighties. By the late nineties many observers, including a DCMS report, were talking about a ‘service in crisis.’ A period of retrenchment was underway. Under the Tory and Labour governments of the era some branch libraries were closed and the number of professional librarians fell. Opening hours and book stocks were invariably a soft target for council savings. The weeds were beginning to appear in the garden but, with the onset of the great economic crash of 2008, the malignant growths have multiplied and threaten to choke the flowers to death. The greatest threat came from last year’s Comprehensive Spending Review which set councils a target of cutting their budgets by 28% over four years, an unheard of reduction. New technology added a second challenge. Libraries had begun to meet it with some confidence, but as usual there were philistines getting out their spades to bury the institution because ‘everything is going digital’, even though libraries were demonstrating in practice that it was possible to manage the older and newer reading technologies quite successfully. The third element of the perfect storm was what a recent parliamentary committee called ‘woeful’ leadership. Andy Burnham eventually changed his mind about Wirral, saving the libraries. Unfortunately, Ed Vaizey also proved capable of changing his mind. There are now many Wirrals. At the time of writing 375 libraries are under threat. It is not just the public library service that is feeling the swish of the grim reaper’s scythe. School libraries have closed and so have School Library Services. All three arms of the British library structure are facing something of a crisis. I first became aware of the gathering storm in July, 2008 when I was invited to address a protest meeting in Doncaster, organized by the local Save Our Libraries group. The council was cutting 32 jobs, 35% of the book budget and making £600,000 of savings. The director pushing through the measures justified them by saying: “People can buy all the books they need at Tesco.” It was a sign of things to come. Along with Michael Rosen, Philip Pullman, Melvin Burgess, Robert Swindells and many more authors I protested to Mayor Winter about the proposals. Within months the Meadows School in Chesterfield made librarian Clare Broadbelt redundant and closed the library. I organized a second round of author protests and the Campaign for the Book was born. In December we faced our first huge test, one that united the book world in its indignation at the new era of philistinism. Wirral council on Merseyside, a Labour/Lib Dem administration was planning to close eleven of its libraries with very little consultation and with no clear strategy for the future of its library service. There were protests from Cilip, the trade unions, authors and library users. A 1,000 strong march wound its way through Birkenhead. I wrote an Open Letter to Culture Minister Andy Burnham on February 11th. On the 21st he said he was ‘not minded’ to review the Wirral cuts. The broad coalition of opposition to the closures refused to lie down. A local solicitor sought a judicial review. Still the Department of Culture, Media and Sport was unmoved. On March 27th Junior Minister Barbara Follett repeated the mantra that the DCMS was ‘not minded’ to step in. We resorted to the tactic of appealing under the 1964 Act. By April 4th Andy Burnham was the first Minister since 1991 to intervene. He commissioned a report by Sue Charteris and the eleven libraries won a reprieve. Around the same time campaigners were successful in keeping open Old Town library in Swindon. 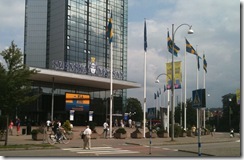 We had won a significant victory that we celebrated at a Campaign for the Book conference in 2009 in Birmingham. Everybody had played a part, the Library Campaign, ourselves, the trade unions, Cilip and the local people in the Wirral where there were huge protests. There were other elements of progress. Representatives of Cilip, the SLG, YLG, the Campaign for the Book and the School Library Association met to press the case for statutory school libraries. The School Libraries Commission chaired by Baroness Morris highlighted the worth of the school library. Sadly, the fallout from the banking crash overshadowed every forward step we took. Campaigners had demonstrated a new vigour in raising the profile of libraries. We had won a victory in the Wirral. The next time around however we would be fighting many such battles simultaneously. This is the context. There is another sub-text however. Never has a coordinated and integrated library service been more relevant and necessary. This year’s PISA survey has placed the UK in 25th place in international comparisons of reading standards. Ten years ago we were in seventh place! The report’s authors identified the lack of reading for pleasure among teenagers as a major factor in our relative decline. In other words, at the very moment the case for reading and libraries is becoming more urgent, the political class is driving ever more disproportionate and damaging cuts. Figures such as Desmond Clarke and Tim Coates are pointing at issues such as overheads as important in any discussion of alternatives to closure. The government continues to pursue its cost-cutting measures at a breakneck pace. The ‘bonfire of the quangoes’ has already done for the Museums, Libraries and Archives Council, transferring its powers to Arts Council England. It has rejected the case for statutory school libraries. Enthusiasts for libraries are refusing to go quietly into that good night however. At the time of writing activists in several areas are planning legal challenges under the 1964 Act. Others are organizing protests, petitions and Read Ins. Thee is even a call for a national inquiry into the programme of closures. The last Open Letter against library closures had well over 1,000 signatories including the likes of Lee Childs, Carol Ann Duffy, Bonnie Greer, Terry Jones and Michael Holroyd. Never have the pressures been greater, but never have advocates of books and libraries been more resourceful, imaginative, determined and successful in arguing their case in the media and out in the community. How this situation pans out will determine the quality of reading and information services in the UK for many years to come. Alan Gibbons is an author and organizer of the Campaign for the Book. 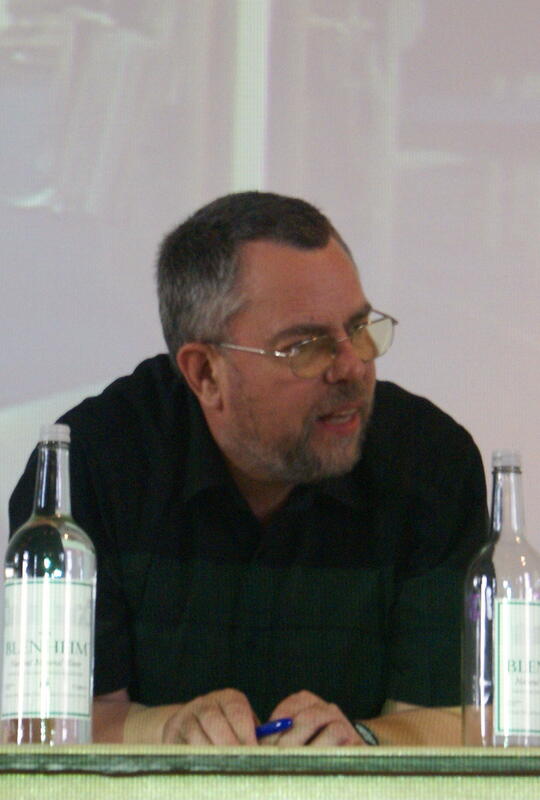 His blog www.alangibbons.net acts as a forum for library campaigners and book lovers. Issue 19 of Panlibus Magazine is now available online. 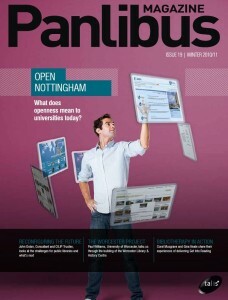 This issue, Panlibus explores what Openness means to Universities today with Open Nottingham. John Dolan, consultant and CILIP Trustee, looks at the challenges and future of public libraries; whilst Paul Williams of the University of Worcester talks us through the building of the Worcester Library and History Centre. You can subscribe to Panlibus for free and read previous issues too. Back in September 2010 the British Library unveiled their their thinking about priorities and aspirations for the next decade – 2020 Vision [pdf]. 2020 Vision is our 10-year vision, following 12 months of extensive and wide-ranging research and consultation. In today’s climate of significant technological change, it highlights what are likely to be the key trends and opportunities over the next decade, and indicates how we will develop as an organisation to increase access to the world’s knowledge base for our users. As a major [inter-]national library and significant planet in the solar system of UK culture and heritage the BL, and it’s vision for the future and subsequent shorter-term strategy is of wide interest and relevance – not least to those working within the academic and public library communities. In today’s conversation I bring together British Library Chief Executive, Dame Lynne Brindley, Head of Strategy and Planning at the BL, Lucie Burgess, with Ayub Khan, Head of Libraries – Strategy for Warwickshire Library & Information Service, and Library Consultant Owen Stephens. In this fascinating conversation we hear how the BL went about the process of forming and publishing their Vision, the need for it, and how it will influence their direction over the next few years. Owen & Ayub reflect upon what it may, or may not, mean for UK libraries for academic and public libraries and share with us their marks out of ten for the vision. The 2020 Vision Site is also worth a visit to scan through some of the background and to view the research that underpins the vision: www.bl.uk/2020vision. 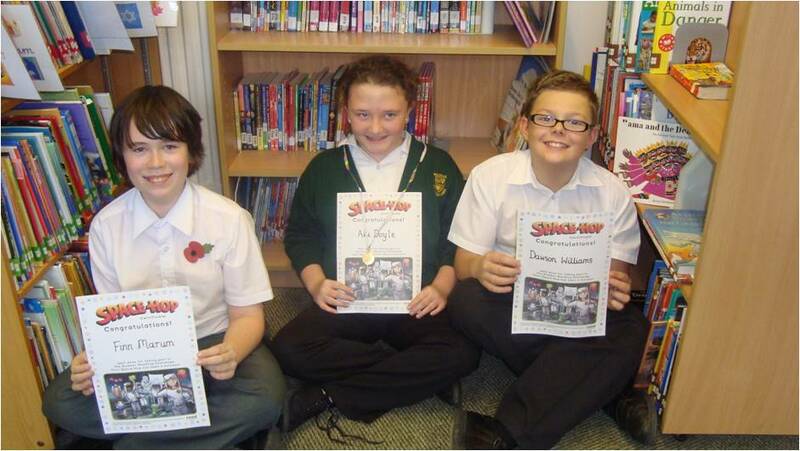 This podcast was recorded at Walsgrave Church of England Primary School to review this year’s Summer Reading Challenge. Joy Court, who works in Coventry City Council’s Children, Learning & Young People’s Directorate as Learning Resources Manager and has responsibility for the city’s school library service. Joy is also involved with The Reading Agency and Summer Reading Challenge at national level. Joy talks about the importance of connecting schools with public libraries, and her role promoting the Challenge to schools, particularly those that have not been involved before. She outlines the preparations that are made both in schools and across the public library service for the Challenge to make it as attractive to children as possible. This year Coventry successfully piloted the participation of teenage volunteers, many of whom made themselves available to talk to children about the books in public libraries. Coventry will be extending this across the city next year as it proved immensely popular with children. We discuss how this year’s Space Hop theme was selected and the website that amplified the theme with interactive features and games. This year 59,000 people registered on the website. We also discuss Joy’s involvement with other areas of The Reading Agency work, and how initiatives such as Chatterbooks feed into the success of the Summer Reading Challenge. Finally we talk about the ongoing importance of the library as a place. These podcasts were recorded at Walsgrave Church of England Primary School to review this year’s Summer Reading Challenge. In the first podcast, Primary Teacher and Literacy Coordinator Bryony Harrison talks about how the Summer Reading Challenge ties in with her work in the school promoting literacy and fostering a love of reading and writing. Bryony reveals how she makes an impact on children’s reading habits, building up their enjoyment of books and reading. She describes the experience her pupils shared of the Summer Reading Challenge at Walsgrave Church of England Primary School this year, with promotional activities over the summer term, including visits to the local library and a partnership wtih the local Showcase Cinema who run a Bookworm Wednesdays programme over the summer holidays. In the second podcast, three pupils from Walsgrave Church of England Primary School talk about their own successful experiences of the Summer Reading Challenge. 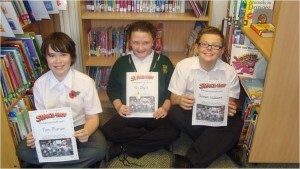 Finn and Abby aged 10, and Dawson aged 11 (left to right on the photo above) discuss the this year’s theme – Space Hop – and its website, the school’s preparations for the Challenge, and the books they read. This podcast was recorded at Walsgrave Church of England Primary School to review this year’s Summer Reading Challenge. The Head Teacher Kim Docking talks about how participation in the Challenge has gradually increased over the past two years as teachers and children alike have shared their enthusiasm across the school. The school serves a socially-mixed area, and for this summer, Kim was keen to involve those children who have no exposure to reading over the summer holidays and whose performance slides downwards at this time. So for Walsgrave Church of England Primary School, the strategic importance of the Summer Reading Challenge is about continuing to narrow gaps and ensure that all children enjoy equality of opportunity. Kim is confident that the Challenge has promoted awareness of the library service and has encouraged children to read and enjoy reading. By positioning the Challenge as an integral part of broader literacy initiatves and a thematic curriculum, the school is ensuring that its Summer Reading Challenge gains are sustainable. 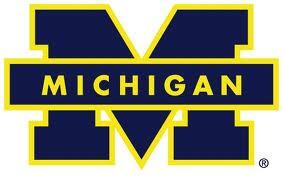 As the library of the University of Michigan makes its final decision about taking on responsibilitiy for OER (Open Education Resources) publishing at the University, a report entitled Reaching the heart of the university: Libraries and the future of OER looks at progress on this collaboration to date. Importantly, the authors, Pieter Kleymeer, Molly Kleinman and Ted Hanss, who will be presenting this as a paper at the Open Education 2010 Conference in Barcelona next month, also reflect more widely and on the many synergies between academic libraries and the OER movement. 4. A partnership with OER Africa – The African Health OER Network. Academic OER initiatives and university libraries share a determination to improve access to all kinds of scholarly and educational materials, both on their campuses and throughout the world. Given those dovetailing values, partnerships between OER initiatives seem not just logistically convenient but philosophically obvious. It’s not just about commonality though. It’s about attributes that libraries can offer to OER initiatives, and the report groups these into two categories – infrastructure and relationships. Many OER projects either use dedicated OER or open courseware publishing platforms such as eduCommons, learning management systems like Sakai or Moodle, or have created their own, but these systems are not designed for preservation of materials or formats. Using platforms like DSpace and Fedora, IRs contain materials in a wide range of formats, and are committed both to making the content freely available and discoverable on the open web, and to preserving the content over the very long term. Few digital publishing operations have concerned themselves with long-term preservation, and as a result gigabytes of born digital content, websites and publications have already been lost (Brand, 1999). Depositing OER into institutional repositories opens up a new potential avenue of discovery while also ensuring that the material will be available for years to come. Most university libraries have a central and trusted position in the lives of faculty, students, and administrators on their campuses. Librarians support curriculum development, guide instructors to appropriate learning content, and assist with research. Areas in which librarians have skills that are relevant to OER programs include outreach and education, curriculum development and instructional support. If the goal of OER production is to change the culture in the academy, to create a community of teaching and learning that is more participatory, more open, and more accessible, to shift the value system towards one that privileges research and teaching materials that are available for use and reuse over content that is restricted and locked away, what better place from which to launch such an ambitious program than the library, the heart of the university? Almost halfway there, a research report authored by Holly Mercer from Texas A&M University, is an analysis of the behaviours, as opposed to the attitudes of academic librarians in relation to Open Access publishing. With the issue of Open Access, academic librarianship seems caught between the imperative of cost-saving, difficulties in effectuating change in the faculties and the need to provide a continuous service (not mentioned in this study, but an important factor in inhibiting the cancellation of journal titles or “making a stand with the publishing industry” over price rises). With an emphasis on behaviour then, the research methodology avoids the survey approach, and instead conducts an analysis of literature published by the LIS community and indexed in the LISA abstracts database, rationalising that data in ways such as de-duplication and exclusion of non-academic librarian authors. Bibliographers and reference librarians have become liaisons who provide expanded services to academic departments. Liaison-librarians often are responsible for discussing scholarly communication topics, such as the rising cost of scholarly journal subscriptions and open access alternatives, and are expected to advise authors to retain enough rights to their published work to use in the classroom, to share with colleagues, and to deposit in an institutional or subject repository. A 2009 study by Palmer et al. concluded librarians are generally quite supportive of scholarly communications programs including opening access to scholarship, but are nonetheless ambivalent or unsure how to discuss these topics with faculty at their institutions. It may be that this lack of confidence is symptomatic of uncertainty across academia of the benefits of Open Access. The report discusses the low take-up of institutional repositories, and this reminded me of some qualitative research I carried out in 2008, in which a Russell Group university psychology researcher told me that the benefits of simply dumping [sic] a paper into a repository hadn’t been made clear to him. The problem goes beyond poorly rolled out repositories. It remains the case, for example, that the “certification process” (i.e. quality review) of a published article sits with the journal rather than the repository. 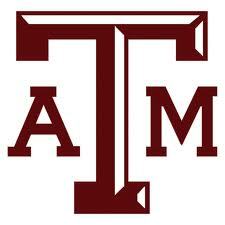 Repository software serves observed and stated faculty needs surrounding content creation and dissemination hardly at all. The University of Rochester library investigated the discrepancy between the stated benefits of institutional repositories and the desires of faculty and found that most want to work with colleagues, as well as organise and manage their research and writing. IRs only minimally cater to these goals. Academic librarians believe the profession should advocate for OA but few said they were supporting OA by taking action individually, such as self-archiving or amending agreements. So the report suggests that the full power of evangelism is only released when you practise what you preach. And for this point alone, the report is valuable. Practise what you preach, and provide tools to help the congregation to follow suit. But if neither the academic librarian nor the academic in the faculty is adopting open access en masse, then there may be deeper problems not dealt with in this otherwise excellent report. So the report does provide a rare analysis of librarian behaviours around Open Access, but ultimately fails to dig down into the reasons behind the behaviours described. We need to look beyond the report, not necessarily for attitudinal factors, but for more cultural, political and economic reasons behind this resistance to change. I must admit I was a little skeptical of the timing when I accepted the invitation to provide the keynote for a Linked Data session – on the last day of IFLA 2010 – at 8:30 in the morning – in August – on a Sunday. Who was going to want to get up at that time, on the day they were probably going to leave beautiful Gothenburg, to hear me witter on about the Semantic Web and the obvious benefits of Linked Data for libraries? A few minutes before the start, I was beginning to think my skepticism was well founded, viewing the acres of empty seats laid out in their menacing ranks in front of me. But then almost as if from nowhere, the room rapidly filled and by the time I took the stage we had something approaching a full house. As you can see from my iPhone snap below, we ended up with a significant group (I lost count at about 250) of interested librarians. So was it worth them turning up at such an unsociable time? I obviously can’t speak for my session, but I believe it was well worth turning up. We had a series talks which varied from the in-depth technical/ontological spectrum to the rousing plea to open up your data now – and don’t hamper it with too much licensing. First on after my session was Gordon Dunsire from the University of Strathclyde who gave us some in depth reasoning as to why we needed complex detailed ontologies based upon standards like RDA, FRBR, FRAD, and RDA to describe library resources in RDF for the Semantic Web. To represent the full detail that catalogers have, and want to, provide for resource description I agree with him. I also believe that we need to temper that detailed view by including more generic ontologies in addition. People from outside of the library world, dipping into library data [with more ways to describe a title than there are flavors of ice cream], will back off and not link to it unless the can find a nice friendly dc:title or foaf:name that they understand. Some of the other speakers that I caught included Patrick Danowski’s entertaining presentation entitled “Step 1: Blow up the silo!”. He took us through the possible licenses to use for sharing data, only to conclude that the best approach was totally open public domain. He then went on to recommend CC0 and/or PDDL as the best way to indicate that your data is open for anyone to do anything with. Jan Hanneman from the German National Library delivered an interesting description [pdf]of the way they have been publishing their authority data as Linked Data, and the challenges they met on the way. These included legal and licensing issues, around what and under what terms they could publish. Scalability of their service, being another key issue once they move beyond authority data. All in all it was an excellent Sunday morning in Gothenburg. I presume the organizers of IFLA 2011 will take note of the interest and build a larger, more convenient, slot in the programme for Linked Data. The Linked Data and Libraries event held at the British Library last month was a very successful event attended by many interested in the impact and possibilities of these new techniques and technologies for libraries. Many travelled from the far corners of the UK and Europe, but from the several emails I received it was clear that many others could not make it. To that end we took along the technology to capture as much of the event as possible. The videos have now been edited and published on our sister blog, Nodalities, where you will also find links to the associated presentation slides. I can highly recommend these as an introduction to the topic and an overview of the thinking and activities in this area from such as the British Library and Europeana.